Gregg Toyama is the CEO of Harcourts South Australia and Northern Territory. Prior to being named as CEO, Gregg was the Head of eBusiness for Harcourts International. Gregg's work within the eBusiness Team saw Harcourts suite of custom apps being recognised and profiled by Apple as a Global market leader in Real estate and in 2017 won the REB "Innovator of the Year" award. Prior to joining Harcourts in 2006, Gregg was the Director of Strategic Development for Prudential California Realty, the 4th largest Real Estate network in the US now Berkshire Hathaway. From 1994 to 2000, Gregg was Director of Strategic Development for the Ray White Real Estate Group. As Director, Gregg was a key member of the management team who was responsible for supporting and expanding the network throughout Australia, New Zealand and Asia. Gregg lives in Adelaide where he began his Real Estate career in 1989. Gavin began his real estate career at 21, starting as a Property Manager. There he built a successful client relationship, excelling in communication and service. While always ensuring a friendly environment. 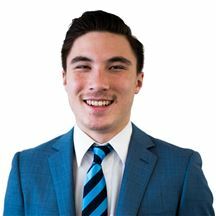 Through his experience achieved in Property Management, his strong background in technology and drive for problem solving, Gavin has relished his new role as Business Operations Manager for Harcourts South Australia. Gavin has completed a Bachelor of Health Sciences at the University of Adelaide and shares a strong passion for health and martial arts. Gavin works with offices throughout South Australia in operations and training. After finishing my Bachelor of arts degree at UNISA in 2011, James started his own media production company, King Media Productions. He specialised in filming real estate videos, property tours and agent profiles. After working with various real estate media companies such as Perspective Media, Industrie Media, Visual Domain and many local real estate agencies he decided that joining a real estate company would be the next step. "The decision to join a business was a fantastic idea for me; I have learnt many of the ins and outs of the industry. I have found that this gives me a huge head start for the work I do, from understanding the emotions of buying and selling to grasping the next bid at an auction and realising the amount of work that goes into a real estate transaction." Jo comes from a background of retail and Sales and it is from this experience that she has developed a commitment to ensuring that she always provides the very best level of communication and customer service. Her current roles sees her being involved in assisting with the day to day tasks of the State Office, Events and admin support for the Academy. Kylie has been involved in all aspects of Real Estate for over 20 years. During this time Property Management has been her targeted area of interest. Having worked in 3 states of Australia she has studied Real Estate a number of times. Kylie is a born and bred country South Australian, travelling being paramount in her life together with a passion for real estate. Settled with a family she is now relishing her role as Property Operations Manager for Harcourts South Australia. Being able to share her experiences and pass on knowledge to other Property Managers and Business Owners derived from many years of actively being involved in all facets of real estate is a rewarding experience. 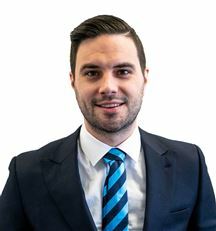 Ray commenced his Real Estate career in the south west suburbs of Adelaide in a leading independent agency. He progressed to an international franchise group becoming an experienced auction listing sales representative. With over a decade of sales under his belt and as a Licenced Land Agent, registered auctioneer and qualified trainer with a Certificate IV in Training and Assessment, Ray spent almost 6 years at the Real Estate Institute of SA as the Institute’s sole Compliance Adviser. Known for his attention to detail and intimate understanding of the real estate legislation he is determined to assist franchise owners, sales representatives, property managers and trainees. Ray understands the “whole of agency” approach with property management being as important as the sales function. The iconic Harcourts brand delivers huge benefits to our franchise network. Training and compliance mixed with a consistent, persistent and ethical approach is certainly a recipe for success for both our Harcourts people and our many clients. Contact Ray direct if you are considering a Real Estate career.